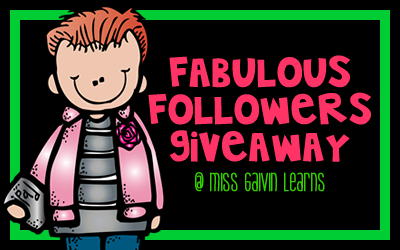 I’m very excited to be hosting my first giveaway! I’ve had some incredibly lovely ladies contribute to this giveaway – so there is plenty of great prizes to be won! So… what’s on offer? So glad you asked! Alison is offering her Decimals and Fractions – Making Connections pack. Sara is offering any 2 items from her TeachersPayTeachers store. Tania is offering 1 item from her TeachersPayTeachers store. Shanyn is offering 1 item from her TeachersPayTeachers store. Beth Ann is offering 2 items from her TeachersPayTeachers store and a Thanksgiving item. Liz is offering her Multiplication Tri Ominos Game – 4 Math Centers pack. Deborah is offering her Thanksgiving activities. My favorite part of blogging is being able to share things and learn things from other teachers from around the world! So awesome! My favorite part of blogging is getting good ideas from others. Great job Stefanie, I pinned your giveaway! My favourite part of blogging is getting inspired with all the amazing teaching ideas out there in the blogging word! My favorite part is all of the great ideas! I love finding new ideas to make my classes more fun, but that’s blog stalking! I ‘ve only just started my own blog, and I find that I am making an extra special effort with everything now, because I want to be able to take a photo and blog about it later :p Blogging is not only making me more reflective, but better in practice too. Thanks for letting me know – I’ve updated the link! I love all the ideas I find from fantastic bloggers! Love the inspiration, THANK YOU! !